In an effort to attract, engage, and land top talent, many employers are looking to improve their company’s reputation as an excellent employer—and that means providing a good candidate experience before, during, and at the end of the recruitment process. According to research, 84% of job seekers say the reputation of a company is important when making a decision on where to apply for a job, and 22% say they have preemptively rejected a potential employer due to poor reviews. With unemployment rates at historic lows, and a war for talent in sectors like the tech industry, employers need to think about “selling” themselves as much as assessing candidates. When it comes to hiring, making a great first impression is a two-way street. If your candidate experience is too slow, too cumbersome, or too manual, you’re not only losing candidates, you’re hindering your business. 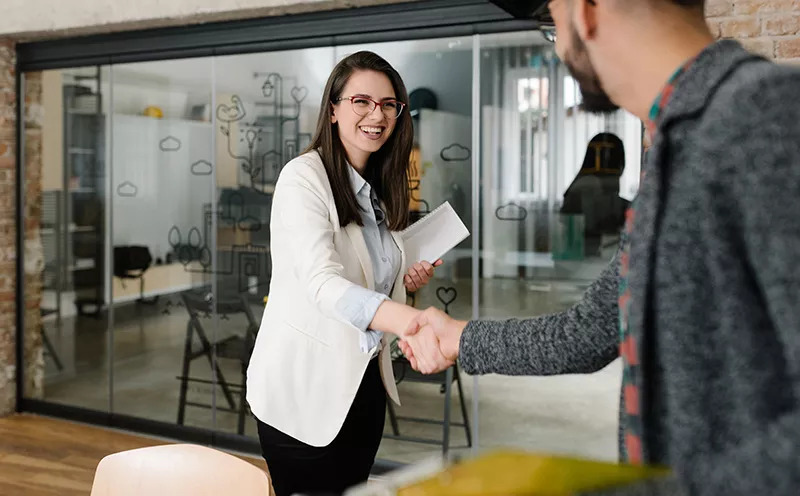 Here are five ways employers can stand out to provide a great candidate experience, and keep good candidates in the pipeline. To attract the right candidates for your company and positions, you need to optimize your communications and job postings accordingly: optimize your careers page for mobile devices, advertise in the venues where your target candidates are likely to apply to be found (if you use Jobvite, you will easily be able to use job syndication to get open positions posted on Indeed and Glassdoor), and write inclusive, specific, and enticing job postings—77% of job seekers say job descriptions are the most useful employment content. Your recruiting and hiring tech stack should provide a great user interface with simple workflows—for example, using an ATS that parses a candidate’s resume and auto-fills forms will streamline the application process for the candidate. Your tech should also make it easy for you to provide professional, prompt, and engaging communication throughout the process. It’s important to be transparent—outline the screening and interview process for the candidate, so they know what to expect and when. Finally, listen carefully to your candidate’s wants and needs—this information will be critical when you’re ready to close your candidate. Background checks can be an area of concern for candidates, and can sideline a great candidate experience if the workflow is clunky or communication is poor. Integrating a modern background check provider with your ATS that offers a mobile-optimized workflow and provides open, transparent communication between employer and candidate creates trust from the start. With GoodHire, candidates are informed of the type of search that will be run and are able to provide consent online, plus, candidates get a copy of the same report at the same time as the employer, and they have an opportunity to explain their results with a unique feature called Comments for Context. The majority of job seekers cite culture as at least of relative importance in applying to a company, and 46% claim it’s very important. Collaborate with your hiring team and remind them that they are selling just as much as they are assessing, and they should communicate accordingly and be prepared to share why they love working at the company. Provide an organized, seamless interview process by ensuring each team member knows the purpose of their involvement in assessing the candidate—ideally, assign each person competencies to assess and provide structured interview questions. This is the critical final step where the employer needs to “sell” your company and the position to the candidate. The recruiter and hiring manager must clearly map out the candidate’s priorities to the job opportunity in order to make a compelling case for why the candidate should accept your offer and select you as their new employer. You’ve gotten this far, which has “cost” the company quite a bit of time (and time is money), so tap into your inner salesperson and really sell it! It’s nearly impossible to bounce back from a bad first impression, and bad experiences can sour your company’s good reputation—people are twice as likely (or more) to share a bad experience than a good one. Candidates are more likely to walk away or reject your offer if the process takes too long or is unprofessional, so make the effort to invest in your candidate experience just as your candidate is doing his or her best to impress you. If you’re planning to attend Recruiter Nation Live Oct. 1-3, stop by GoodHire’s booth and say hello. We’d love to discuss how we can help your company make a first good impression!